All batteries suffer from a diminished capacity as the temperature drops. We all can appreciate this effect from our Canadian winter experiences with difficult starts, block heaters and battery heaters. My deep cycle batteries are no exception. The past two winters I have relied on the battery box I first built as a template for most of my construction techniques since. In addition, I have packed the batteries in extra closed cell foam, and then last year in two surplus picnic coolers donated by Mummu and Grandpa. With the porch on the cabin this year, I intend to have them out on the porch for the winter. But still, they must have some protection. From Home Depot, I purchased an inexpensive outdoor storage box that seemed to have good overall dimensions. I supplemented this with two, two by eight foot sheets of 3" insulation, cut to fit inside the box as precisely as possible. One sheet on the bottom, which I expect will buckle under the weight of the batteries. I believe the end result sure looks good. There is a tight fit for the batteries, and they will be better insulated than they previously have been. It will be interesting to see just how well they can retain their heat as the winter progresses. Now that the box is complete and ready for the batteries, I have decided to also upgrade our inverter from the Mastercraft 3000W we have been using since the beginning of our endeavour here. Watch for the changeover in my upcoming posts. As part of the overall upgrades on the sauna, I wanted to switch out the concrete board I had originally used to "frame" the sauna stove on the inside and outside of the log walls. When I first installed the sauna stove and concrete board, I thought that it would be a nice, permanent solution. As the year progressed though, the board began to crumble around the edges and screw holes. It also developed a network of spiderweb type cracks across it and it became clear that the heat was not kind to such a thin sheet. He suggested that for something of that nature, I would be better served by visiting Nu-Tech metals down in the city and speaking with M!. Kenny and me, on my next trip to town, visited there and managed to catch M! in. He looked over our plans and thought they were doable. It did max out my budget ($200 - the amount I had mentally prepared myself for as a worst-case scenario). I agreed though, and he said he could have it done in a day or two. Returning promptly at 8am two days later, I was delighted to see the finished product. Exactly as I had described! Yesterday, I carried it to the sauna around lunch to begin the retrofit. I carefully removed all the paving stones and cleaned the loose mortar off. I also removed the side supports as I anticipated the steel to hold the stones in place. This also made space for the bolts linking the inside and outside plates together. After I set the inside plate in place, I repacked some mineral wool insulation around the paving stones (not shown). A perfect fit! With Donna and Kenny helping out tremendously, we managed to line up the bolts and get the outer plate installed just perfectly. I had to expand the holes on the lower inside plate slightly, but that was very minor compared to just how badly I feared things could have gone. I tightened down all the bolts, and things looked great to me. We'll see what sort of patina the steel plates take on over time. I also have to see how much heat gets transferred from the stove to the plate and then on to the wall. I don't want it to become a hazard. Having the water tanks in the loft of the sauna has been working rather well for us - at least, during the portions of the year where we can keep them from freezing up. Having them up there has made it a bit challenging to examine them for leaks or cleanliness. For most of the summer I had put off checking on them. I didn't notice any water except when we overpumped the tanks, in which case the water just dripped right through the ceiling. My ladders were always in use elsewhere. Finally I decided to mount a permanent ladder in the sauna. This ladder could also double as a drying rack for towels or fundoshi. With a pair of 2x6 cedar beams, and an 8' hardwood dowel, I was able to churn out a really nice looking ladder in the span of an afternoon. Grandpa donated six tiny L brackets, and I soon had it mounted. I didn't run the ladder right to the floor, so it is suspended from the wall. I must confess that it still makes me nervous to climb it - my imagination is able to graphically picture the ladder coming away from the wall and sending me crashing down. So far, it has performed perfectly though. And it looks really nice to boot! The sauna is really coming along. Stay tuned for more tweaks. 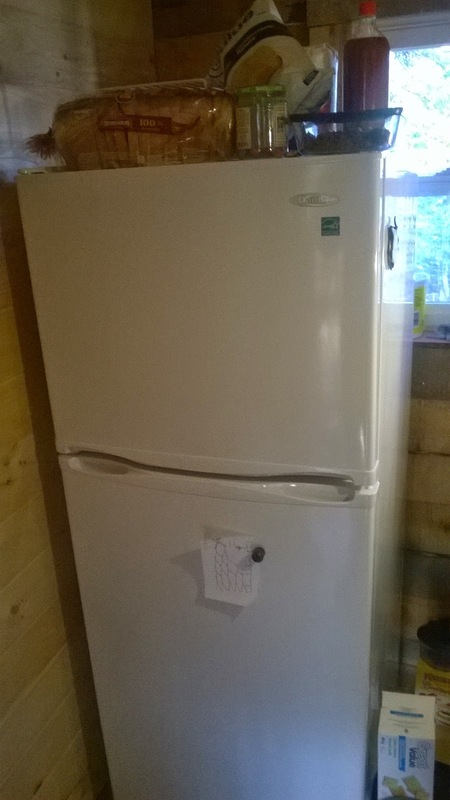 Having an upright refrigerator with freezer compartment sure has been a nice addition to the cabin. While the previously created downright fridge (as compared to an upright fridge ;)) that I created by converting our chest freezer to a refrigerator worked very well for us for almost two years, we had to admit that it was getting tiresome always having to reach DOWN into it to retrieve items. Especially when they began to be piled two or three deep. We researched at great length before finally settling on a special order Danby from Walmart. Upon closer examination, I noted that this Danby model appears identical to the Home Depot Magic Chef design that was cheaper and more readily available. Oh well. The big downside to this new fridge is the amount of startup current it wants to draw. When the batteries are completely full it is just testing the limits of my inverter. After the sun goes down though, it doesn't take long before the startup of the fridge causes the inverter to alarm with a low voltage (or perhaps overcurrent - it happens so quickly that I still haven't seen the exact code). This is surprising, considering we have what I assume to be a large enough battery bank. My first solution was to plug the fridge in via a long extension cord. This reduces the current available to it. It only helped delay the alarm somewhat, and isn't considered safe by all but the most daring of adventurers. Now I'm going to have to get more creative. Unfortunately I can no longer find a manufacturer of a soft-start outlet. I will likely next try to increase the size of my battery cables to the inverter. Hopefully this will make more current available when required. I just worry about the amount of current that may have to travel through the bottleneck of my 100A fuse or my 100A meter shunt. As much pride as I take in my first attempt to build a log structure, I do have to confess that my fit on the smaller beams was not quite perfect. While it is structurally sound, and looks very nice in my opinion, there are areas where the beams had twisted or were slightly warped, and as such, the fit between them allowed for many small gaps and irregularities. The inside bare logs weren't the nicest to lean against. They were rough cut, and there were about three or four gaps of up to an eighth of an inch. As well, there were spots where one beam was almost a half inch offset from the beam directly above or below. These added up to a decision made already a year ago that I would be panelling the inside of both the sauna and the cabin to make the interior more uniform. The other pleasant side effect was that I would be able to add more insulation, and a vapour barrier. 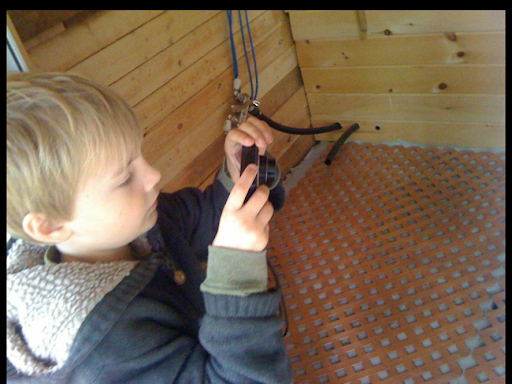 The priority was the sauna - we want it to stay warm enough to keep the water tanks liquid for up to 48 hours at a time. This also gave me the opportunity to test my techniques before applying them to my cabin. I was able to score very inexpensive 1x2 straps from the local Home Depot. They were cheaper than petrol in my own sawmill! They were 5/8 of an inch thick, which was a worry when I was first looking at 3/4" insulation. Luckily I was able to spot nearby a stack of 1/2", 24" x 96" foam panels. I purchased a small amount of both items and headed home to begin. First up was to strap around the outside of each wall. I used Kenny's mining hammer to coax the straps as tight as possible into their positions. I also needed to remove the existing framing around the windows and doors to let me install the more regular straps. Also - the supports for most of the benches. It was nice to fit the panels into place. Very much like Tetris or Lego or something along those lines. I really like how it has made the sauna feel cleaner and warmer. In the change room and washing room, I will use a standard vapour barrier with pine panelling. In the steam room I have only added insulation to the wall without the stove and will switch to cedar panelling. The stove wall will only have a vapour barrier and cedar. In the steam room I will ensure that the vapour barrier is foil all around. 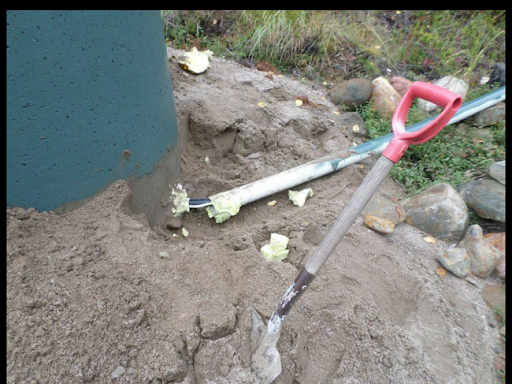 Most sources seem to suggest that a plastic vapour barrier in the presence of the heat and steam is not a good idea. Stay tuned to see how this develops - my current source for cedar panelling has already told me they are not able to supply any more any time soon, so I may have to try to match as best as I can. One of the reminders of the time we spent with our friends the C! family is the dry goods they have left with us. 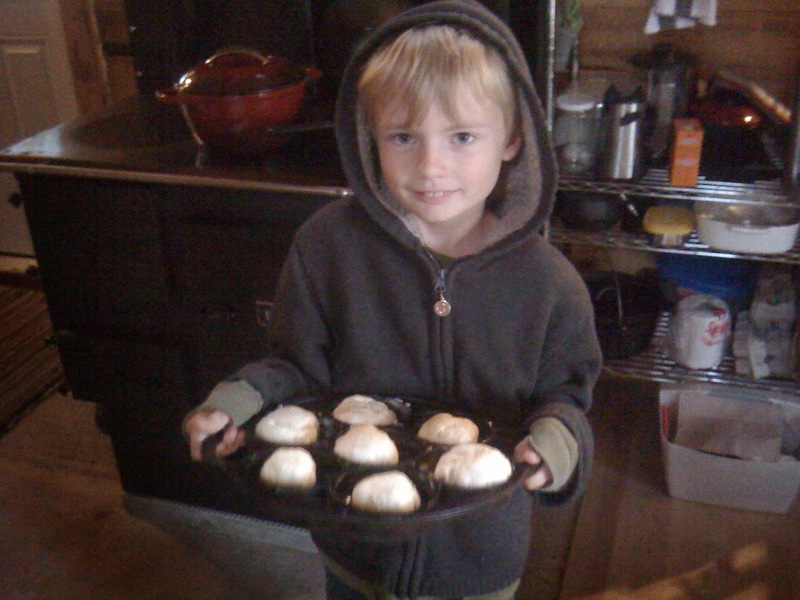 As such, Donna has made pancakes for us once, and the other night, I suggested that if Kenny wanted to have some sort of sweet pastry after supper, maybe he could mix up some biscuits and take advantage of the surplus baking time the already ticking woodstove was supplying. 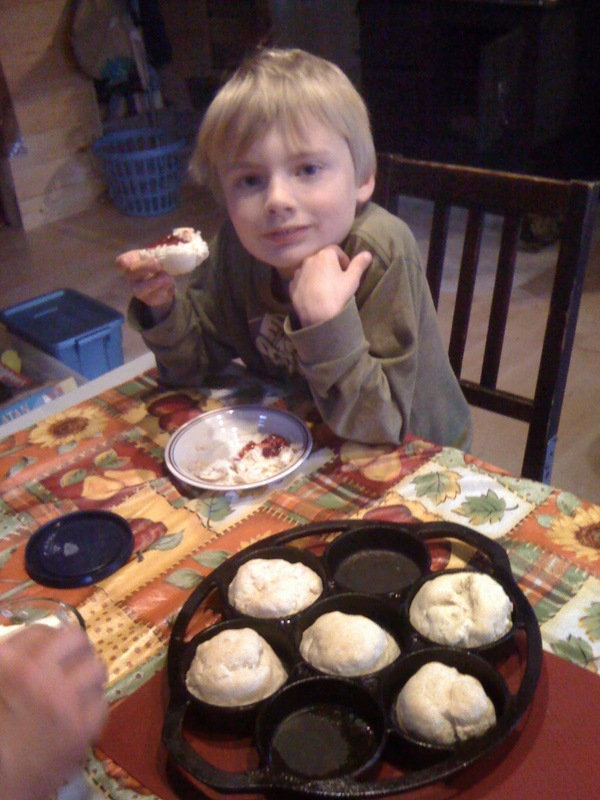 Kenny jumped in eagerly, and the two of us were able to quickly and easily put together a half of a baker's dozen of round balls of biscuit dough. Popping them into the oven just before supper, we were already anticipating the doughy goodness awaiting us. After a delicious Mama meal, we waited the requisite time, and then together were able to enjoy the fruits of our labour. Kenny with butter and jam, and myself with jam and (oh so decadent) whipped cream! After having used the ATV since January without doing any maintenance, I decided that at the very least it was deserving of an oil change. I did some quick searches online, as the location of the filter isn't immediately obvious, and I don't have the manual. It appears that it isn't a big job, as long as one is prepared to take off some of the body panels and monkey around with things. At this point, with winter wood still to be brought in, and other prep work to be done on the sauna and cabin, I opted to let my local mechanic, KC Automotive, take a crack at it instead. Graciously they let me borrow their ramps and with some trepidation, I loaded the ATV into the back of the truck. Miraculously without smashing into the back window of the cab! With the ATV buckled down, she was ready for her trip to the doctor, hopefully just for a checkup to ensure a full winter of ploughing and hauling wood. 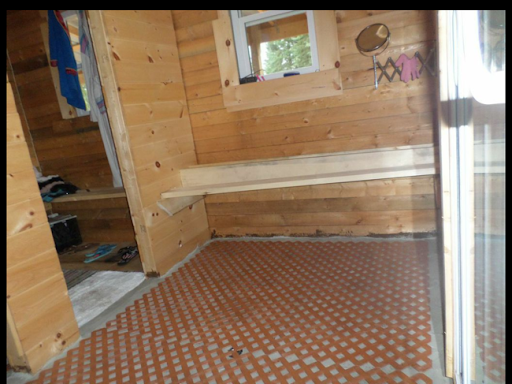 With the sauna floor now (successfully?) parged and sealed, it was immediately evident that walking on concrete, even in summer, is remarkably cold and uncomfortable in bare feet. I had always envisioned some sort of easily draining mats to make it easier on bare, or slipper-clad feet. My first thoughts had generally trended towards picking up some 1x1 interlocking rubber tiles and setting them out throughout the sauna. Unfortunately, I couldn't easily source them at a reasonable price. Home Depot had some gorgeous looking ones that were rubber underneath, and faux cedar on top, but at $45+HST for 10 square feet the cost was just not justifiable. On the backburner, I had had another thought. It too involved Home Depot products, but once again, it was me trying to find an unconventional use for something designed for a different purpose. 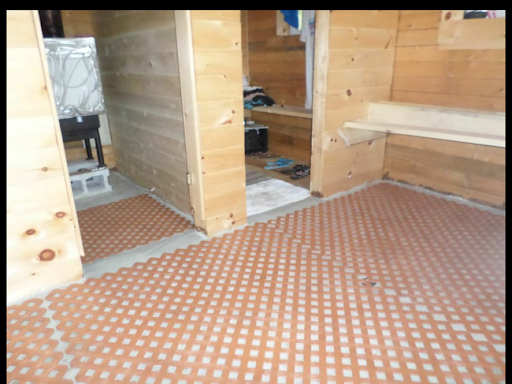 One sauna floor option that would be neat, but expensive and not very practical, would have been to build a grid of thin cedar strips. This was in my head, but I couldn't see myself having the time to build such an item, nor the realism in cost. I also worried about the actual longevity of such a grid, as it would be roughly treated. When I saw fence lattice, and then cedar fence lattice, and then a resin cedar fence lattice, I experienced a Gru moment! I purchased three sheets ($40 each) and headed for home, feeling that perhaps I could get away with using just two, and returning one. Still much cheaper of an option than the tiles. The material cut easily with my circular saw. I had feared that perhaps it would shatter, but not at all. The cuts were uniform and not sharp at all. I ended up using all three sheets, as I wanted to completely cover the washing up room without making it look piece-meal. Fortunately, one of the off-cuts fit into the steam room perfectly. It looks and works better than I initially expected. 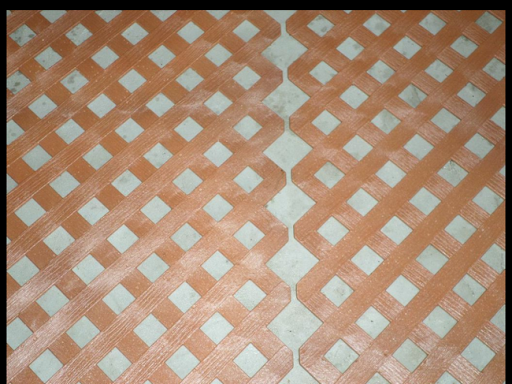 Acknowledging that the floor is already slightly irregular due to the parging, water is able to drain underneath the lattice. The fact that the lattice is resin means that it can stay wet for extended times without worry of rot. In the spring and fall, we should be able to easily take it outside to get a good brushing down and drying off in the sun. Reviews are currently mixed. There is a low spot close to the main drain that Donna feels collects water and she is uncomfortable with the idea that there may be water there for extended periods of time. I'm hoping that it will tend to dry out on its own, it just may not be until the day after we take steam. I can't see how it would be an issue if it is sealed concrete, with a plastic lattice over top of it. Kenny feels that water is collecting on top of the lattice straps. They are slightly textured (wood grain), so that's possible, but I don't think it can be avoided, or that it is a major issue. It dries off very, very quickly, as it is only the thinnest of films of water, and certainly no more than what would be expected of any floor. Considering the alternatives, I love it. 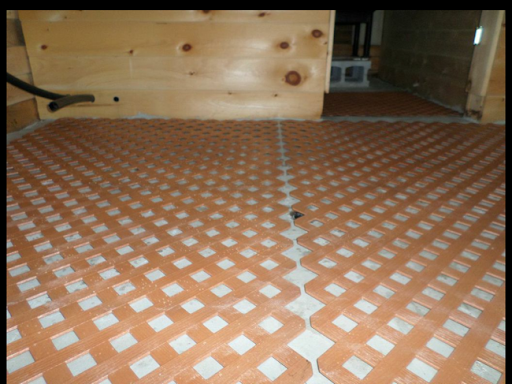 It makes the floor feel warmer to walk on, and I think it looks nice to boot! Last year we burned through my four woodsheds, and still needed more. 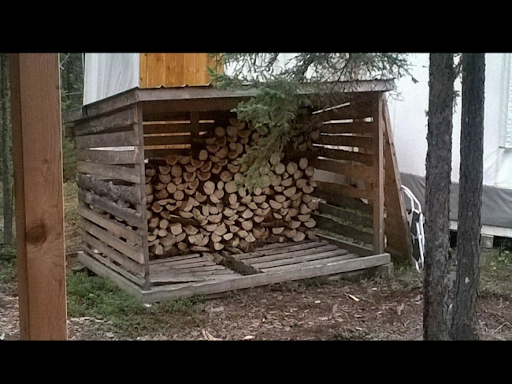 This year I am hoping to seal the cabin and sauna better, and as such, anticipate that I won't quite need the same amount of firewood to see me through. As such, we had already seen snow, and I only had two and three quarters of my woodsheds full. And the largest of those was full only of slabs. 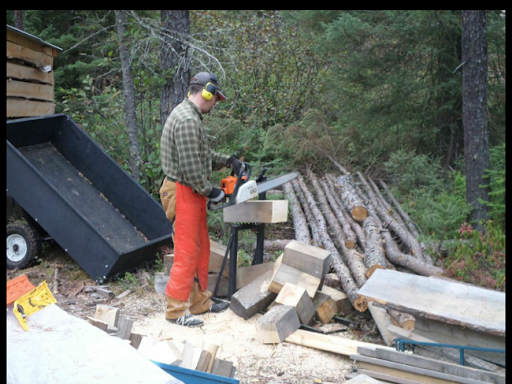 First order of business was to kill off two jobs at once - cleaning up all the scrap lumber around the homestead helped to top off the third woodshed. I even cut up some of the least useful scraps of the beams that had gone into the cabin. I have to think that after being cut and stacked for at least a year in the sun, they should be ready to burn. With the trailer repaired, Grandpa and I took a trip into the bush with both my ATV and trailer, as well as his tractor and trailer. We brought out some really gorgeous wood from some dead and standing trees. Grandpa then headed home while I split what we had returned with. The biggest highlight was stacking the new wood with Kenny. It was really great chatting about Minecraft with him and having his company on this easy, but necessary chore. Then the evening was rounded out by another great meal of rice, spicy beans, and chicken cordon bleu prepared by Mama, and then a pastry of fresh baked biscuits prepared by Kenny. I had mine with raspberry jam and whipped cream. I think I had the best toppings. Not many pictures here, just relating my latest work with my trailer. I'll freely admit it wasn't a super-quality trailer to begin with. I believe it was around $250.00 brand new. It didn't have a proper hitch. With the tractor that wasn't a huge deal, as the tractor only had a pin hitch as well. I had to use a sledge hammer to flatten the trailer tongue a bit to fit, but that worked while I had the tractor. 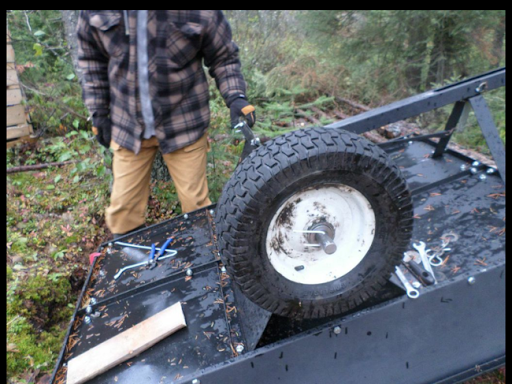 When I upgraded to the ATV, I purchased an 1 7/8" ball hitch for the trailer and had to employ the sledge once again to undo the modifications it had previously done. This worked well, but the trailer was suffering from an ongoing axle and bearing issue. The axle was one of the first failures of the trailer - flat tires notwithstanding. As it turns out, to save on weight or cost, the manufacturer had opted to make the axle a hollow pipe, with the axles only being solid for the last 10 inches or so. Under regular use, this led to failure of the pipe and we subsequently just tried to hammer the remains of the axle together. This had the effect of the tires not really being perpendicular to the trailer for the past year or so. This probably put undo pressure on the bearings, and quickly all four of them failed and were replaced by Grandpa's wooden bearings. The wood worked, but only on a disposable basis. I wasn't eager to spend ongoing efforts to keep it operating as is. Instead, I removed one wheel, and took it to Canada Bearings here in Thunder Bay. They were excellent help, even directing me to Wajax two doors down when they could only supply three of the four required bearings. Cost per bearing - $6.50 - $7.50. With the bearings in hand, I then headed over to Rudnicki Industrial on my side of the city, where I commissioned them to fabricate a new axle for me of solid steel for $20. Back home, I was finally able to cut out and pound out the remains of the old bearings on the wheels, and then reassemble the whole trailer. My predicted diameter of holes for the pins that held the wheels in place was off - the pins were much thicker than I had anticipated, so they didn't fit the new axle. I solved this by just using short pieces of a wire coat hanger. This held up through two trips in and out of the bush loaded with firewood, so I'm hopeful that it will continue to suffice for now. This upgrade to the trailer is a real load off my mind. Now I can feel very confident about getting loads of wood or gravel transported without having to incorporate time for repairs in on a regular basis. This year I'm trying to get a bit ahead of the curve when it comes to our water situation. First up was working with our observations from last year. It appeared that the water lines were freezing up in three locations that I was aware of. To solve the issues inside the sauna, I still plan on putting up a bit of a vapour barrier, along with extra insulation and another layer of panelling. Between the sauna and the cabin I do have a heating cable. I am prepared to switch it on and either run the generator, or just use it on sunny days. Where the water passes through the surface ice of the well itself I already had a heat cable that I could switch on in the sauna, so again I have a solution there. 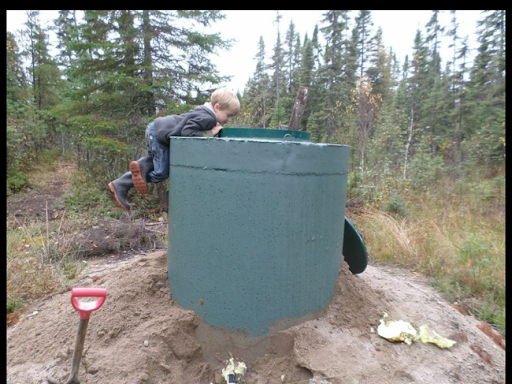 The new location that I hadn't anticipated last year was where the water passed through the well casing itself. 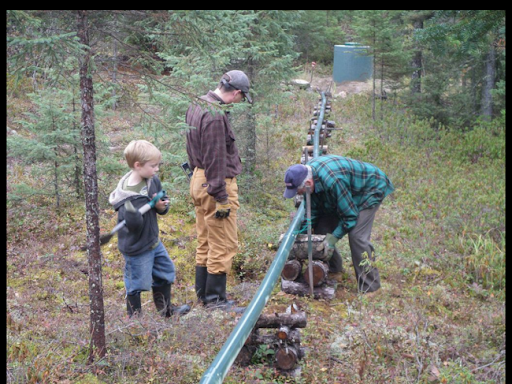 I shelled out the big bucks on the smart heating cable and then headed once again down into the well with Kenny supervising. 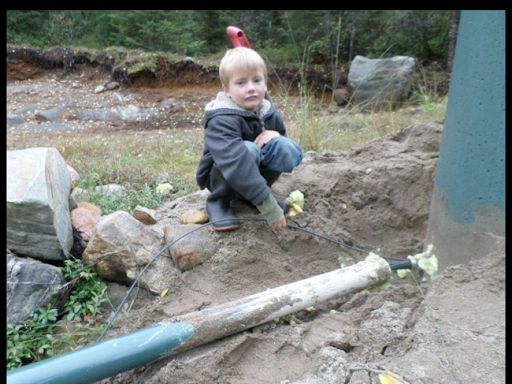 We had dug out the cables and water line on the outside of the well in anticipation of this. With me pushing from the inside and Donna and Kenny pulling from the outside, we managed to get the heat line through the casing and fed a short distance up the pipe towards the sauna. 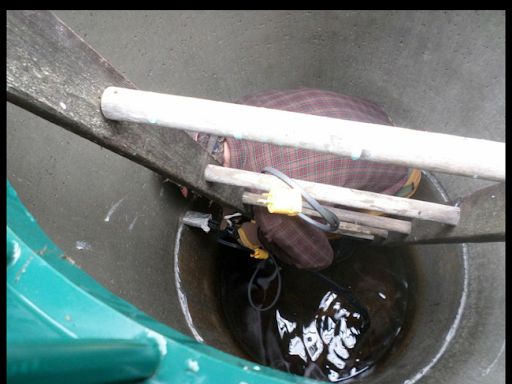 I fastened it as tightly as I could against the water line inside and outside the well casing, with the last few feet just resting loose in the PVC protective pipe. Grandpa arrived with a sheet of rubber which we wrapped around the exposed pipe and wires, and again fastened with cable ties. 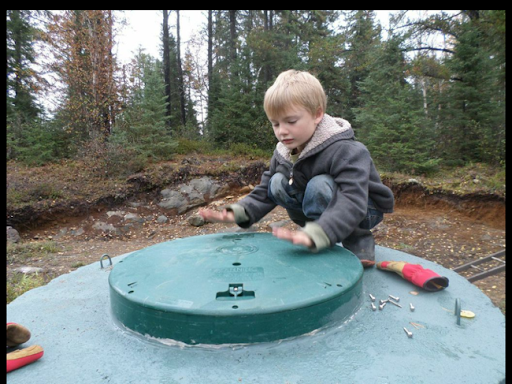 We backfilled around the well and then worked together to ensure that the water line from the well to the sauna was always running down towards the well. I have suggested that if this does not work, then we will have to look at the financial possibilities of drilling a well closer to the cabin next year. Currently I try to skid logs out of the bush in winter; this has the advantage of keeping them much cleaner and easier to move, as they can travel on the snow. In order to open up the possibility of moving logs in summer, I often wonder what it would be like to have a log arch for myself. The problem is that log arches are neither cheap nor plentiful. The other day, when I saw a small "cart" for moving trailers around, I immediately perceived new possibilities. At $60, I felt it was cheap enough that it was worth experimenting with. It came with a ball hitch for the trailers, and I was at first reluctant to try to remove that. As such, I had put together an elaborate "cap" for the hitch consisting of some 2" ABS pipe fittings. I could see that it wouldn't last, and started searching for a replacement in metal pipe. Then, in the bolt aisle of the local Home Depot, I realized that I could probably remove that ball hitch and replace it with an eye bolt instead. This allowed me to size it for some cheap gas pipe which extended the lifting force of the "arch". Another U bolt, some washers, and I was on my way, excited to see what I could put together. I set it up, and it seemed to work. J! and I headed to the bush to put it to a real test - I brought my chainsaw, and cut two tiny 8' logs to skid back. It looked very precarious, but it held! I even went back and brought in two more logs - and it still held up! At this point, I still haven't brought in anything of substantial size. 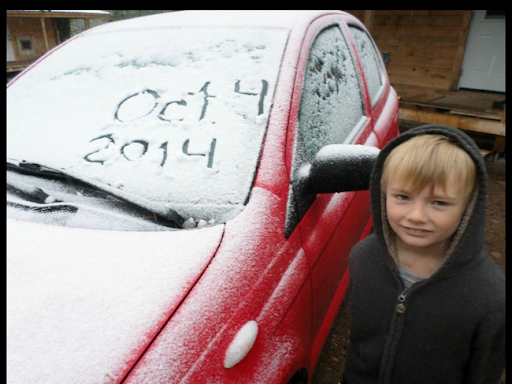 That may have to wait until snow is on the ground. As well, I realize that at least where firewood is concerned, it isn't that efficient to bring in such small quantities - my trailer may be more suited for that. I guess it's back to trying to keep my trailer running! But for logs I may want to cut for lumber, I think it has possibilities, even if I will ultimately have to beef it up in some areas. Over the course of a week or so, I finally was able to get cracking on installing the steel on the porch roof. It was nice to have clear weather to do this - I did it mostly on my own, as it really wasn't a job well suited for two people, and J! was busy with his own machinations. Cutting steel with a circular saw is an incredibly noisy affair. I highly, highly recommend good ear protection! The corners were somewhat tricky. I mostly guessed about how close to come with each sheet, cutting them just slightly off from a 45 degree angle. This was because they were a compound angle - meeting at a right angle when viewed directly from above, but obviously needing more material as they moved out from the cabin because they were also sloping downwards. About an inch more material every two feet or so was close enough in most cases. I anticipate being able to mask my jagged and inconsistent cuts with the hip caps later. One of my fears was just how much sunlight the porch roof was going to block, and that it would make the inside of the cabin really dreary. So far this has not been the case. The upstairs windows still let light in, and we get the morning and evening sunlight just fine. I put up the steel without installing a fascia board, and Donna has asked me not to bother installing one, as it does mean that light can come in between the rafters too. An unanticipated side effect of the additional steel in the back corner of the cabin is that it seemed to interfere with our Canopy internet. Moments after I rounded the corner under the Canopy dish, our internet began to get progressively worse and worse. I actually went as far as to remove most of the steel around that corner, but at the time it seemed to have little effect (to the positive), so I ruled it out as the cause of the problem, and instead chalked it up to an (unlikely) coincidence. 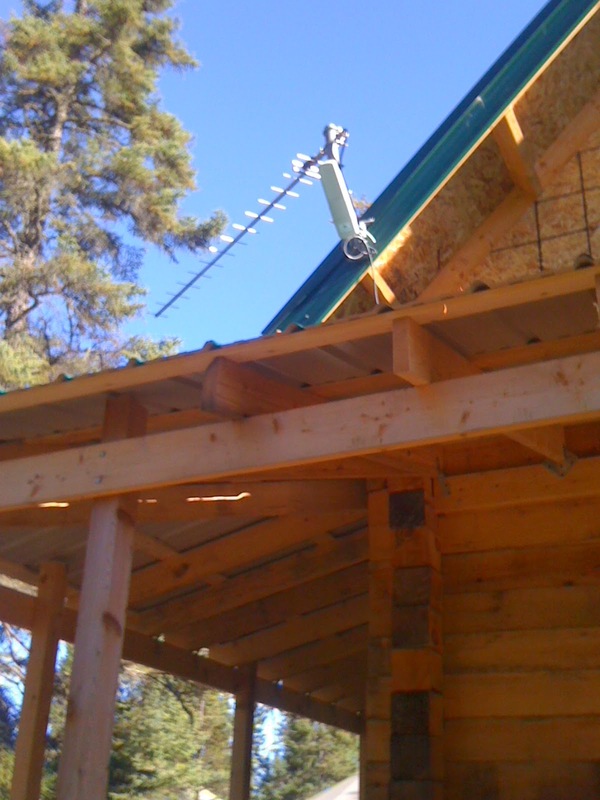 After a week and a half (TBayTel has pretty underwhelming response times in my personal experience), the fellow came out and switched us to a Yagi antenna and blamed the new roof for our issues.